What imagery comes to mind when you think of branding for your business or blog? Images of logos, typefaces, or colors might be coming to mind, but have you ever considered branding your photos? The photos that you use in blog posts, promotional items, cover images, even Instagram posts are a large part of how your blog or business is perceived. Today's post is all about the why and how of streamlining your blog/business's photos to attract your audience and create a professional, recognizable brand. Why are streamlined photos important? Streamlined photos are professional. Do you want readers and customers to take you seriously from the moment they lay eyes on your website or social media accounts? Streamlined photos add a level of professionalism and legitimacy to your blog/business. Whether you realize it or not, you're always visually making promises and setting expectations with your audience through your brand. Streamlined photos reflect consistency and intentionality, which are great qualities of a strong brand. On the other hand, images that vary in style and are poor in quality could be sending out the wrong message that you're careless and unprofessional. Demonstrate professionalism and intention by striving for cohesive photos. Streamlined photos are recognizable. A strong brand can share photos without including any other brand elements and still be recognized by their audience; that's the goal that you should be shooting for as you're developing and refining the visual identity of your blog or business. For example, do you ever scroll through your Instagram feed and immediately identify an image with a particular person/business that you follow? It's probably because they're consistent in their images and have their own unique style. That's what you should be aiming for with every photo you share. This next insight is also very important to mention when branding your photos: Stock images can be confusing for your audience because they lack recognizability. Instead of connecting your audience with your individual blog/business, stock images point back to several different businesses who are also using that image. While they seem appealing for many of you who struggle with creating images and those who are just getting started in this industry, they can end up hurting your brand in the long run. It's important to share photos that are original and unique to you. If you have the funds, working with a professional photographer for streamlined photos is a great investment. And if you don't have the funds, get creative! Network with photographers and exchange services. Note: When working with a photographer, try to be intentional with the colors you choose for your props, spaces, and clothing - make sure that the are consistent with the colors and style of your current brand. It's also important that the photographer's style matches your brand's aesthetic or the photos might seem out of place. For example, Andrea's style is very light and clean, which goes perfectly with the simple layout and white space of the Elle & Company brand. Buy a DSLR camera. This option also requires money upfront, but the benefits are well worth the investment; having a DSLR camera allows you to take professional looking photos at your convenience. Do you have a nice camera but just don't feel comfortable behind your lens? There are some great resources out there from sites like Skillshare for those of you who are interested in learning the basics, and this could also be another instance where you could partner with a photographer friend for lessons. I've also learned that setting aside time to jump in and experiment with your DSLR is one of the best ways to learn. Remain consistent. Whether it's through composition, color, filters, subject, lighting, Photoshop actions, or photo editing, try to maintain a level of consistency with your photos on every platform. This includes Instagram, Facebook, Pinterest, even Twitter. Like I said earlier, your business is always making promises and setting expectations for your audience. Any photos that you post - whether they're on your blog or your Instagram feed - are sending potential clients and readers a message about what your blog/business is like. Make sure you're sending them the right message through streamlining and branding your photos. Now that we've covered the basics of branding your photos, you might be wondering how to create and streamline blog and business images that include type or may not include photos at all. I have something in the works to help you with that very thing! 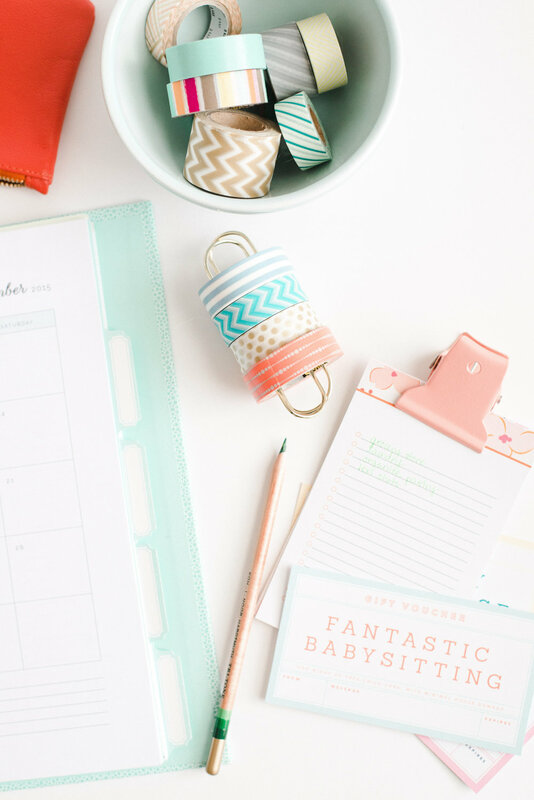 Be sure to follow along with Elle & Company on Bloglovin' and sign up for the weekly newsletter below to be the first to know about our upcoming offering! 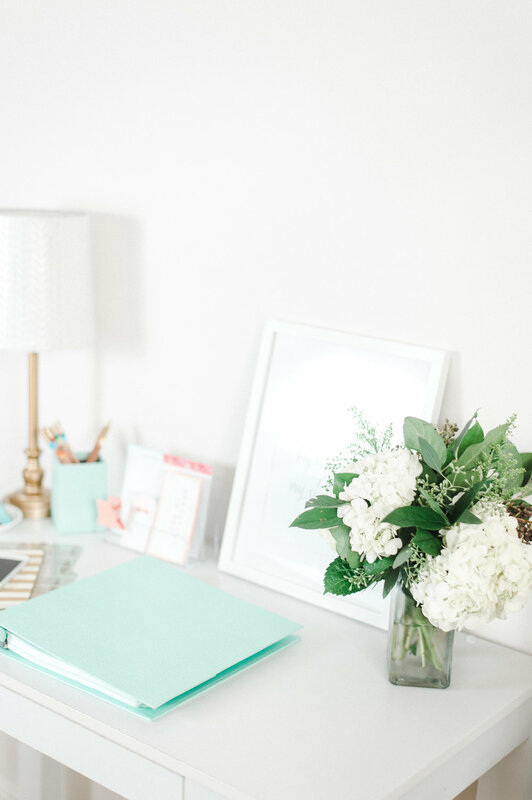 Thanks so much for subscribing to the Elle & Company newsletter! Be on the lookout this Sunday afternoon for the latest updates, offerings, and announcements.